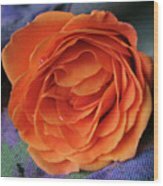 Frank, thank you for featuring Really Orange Rose in the Square Art World group. 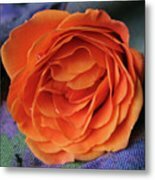 Frank, thank you for featuring Really Orange Rose in the SQUARE FORMAT PHOTOGRAPHY- Artist Group on Fine Art America/PIXELS. CONGRATULATIONS!! Your beautiful artwork has been Featured by the - SQUARE FORMAT PHOTOGRAPHY - Artist Group on Fine Art America / PIXELS! Thank you for sharing it!!! Many thanks for your kind response, Viktor. Much appreciated. Beth, many thanks for featuring Really Orange Rose in the 500 And Beyond Fine Art group. Dora, thank you for featuring Really Orange Rose in the Classic Still Life Artwork group. 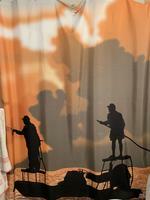 Pamela, thank you for featuring Really Orange Rose in the ABC-R Is For Rose group. Thank you so very much, Meg. Glad you like it. Many thanks, Brenda. 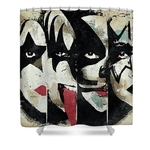 Glad you like this pretty posie! 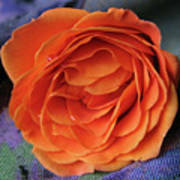 Mariola, thanks for featuring Really Orange Rose in the 500 Views group. Many thanks for your generous comments, Mary. Very much appreciated. Absolutely stunning. The color is so vibrant and fabulous detail with the dew drops. Your florals are gorgeous. You have a way with them. Voted! So glad that you have featured Really Orange Rose in the Loving the COLOR ORANGE group. Many thanks. Randy, thank you for your enthusiastic response to this image and for featuring it in the Wisconsin Flowers and Scenery group. Just love this gorgeous color, Ann! It is a wow factor type of shot! I also like your creativity in the surroundings. Nice job on this beauty! Thanks, Evelyn, Tyler and Juergen for your kind comments. Much appreciated. Just beautiful Ann .... fantastic square crop ... just perfect! 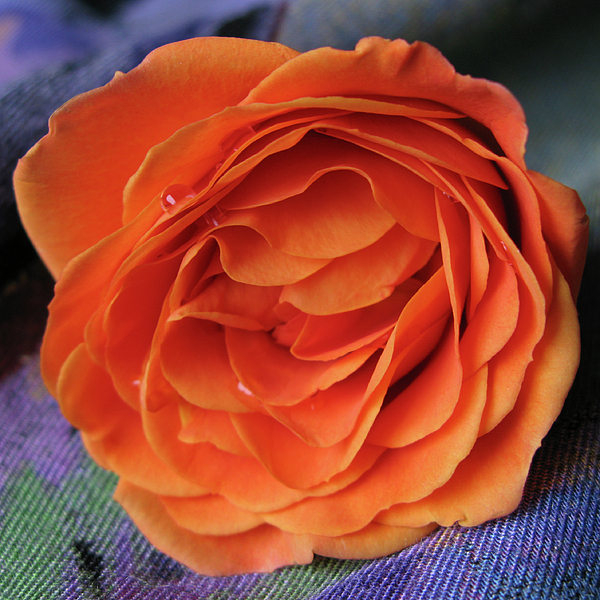 A single orange rose adds vibrant beauty to the rich, multi-colored fabric on which it rests. Companion piece to Singular Beauty, also found in Ann Horn's Floral gallery. Copyright 2008 Ann Horn. ALL RIGHTS RESERVED. This copyrighted image does not belong to the public domain and may not be reproduced, copied, altered or manipulated in any way without the written permission of Ann Horn. ann-horn.pixels.com. 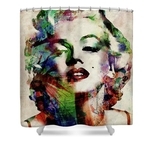 pixels.com Group Features: Square Art World. 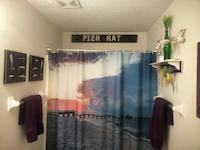 SQUARE FORMAT PHOTOGRAPHY- Artist Group on Fine Art America/PIXELS. 500 And Beyond Fine Art. Classic Still Life Artwork. ABC-R Is For Rose. Floral Throw Pillows. 500 Views. Loving the Color ORANGE. Wisconsin Flowers and Scenery.